"She was people's princess, and that is how she will stay, how she will remain, in our hearts and our memories forever....The whole country, all of us , will be in a state of shock and mourning". People's princess Diana passed away on August 31, 1997, at the age of 36. The royal princess with a big heart for ordinary people was one of my favorites and I wanted to hold the piece of history. 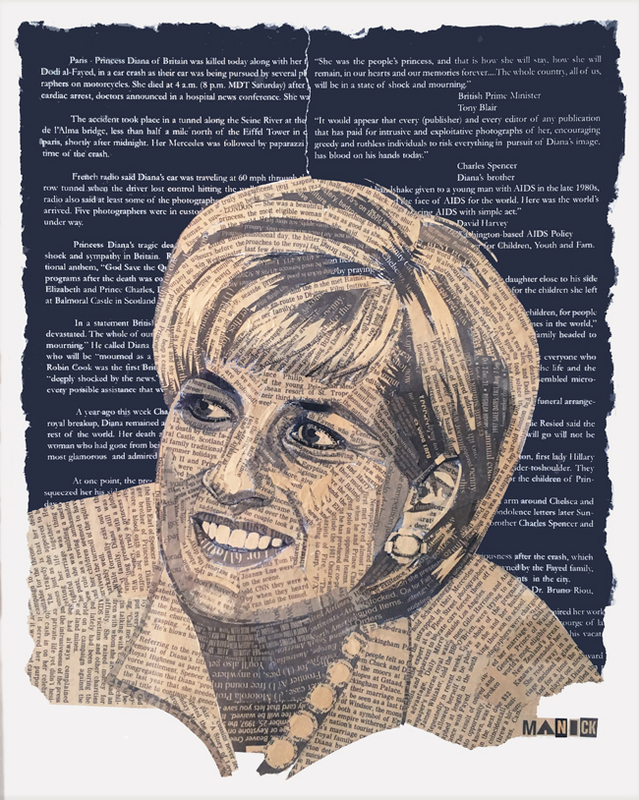 I made this news-art a few days after her tragic death, with newspaper clippings all about her and her life story. The background pieces are printouts of some of the news and articles that flooded the internet.